Development in the city of Cincinnati and particularly in the basin can sometimes be heavily scrutinized. 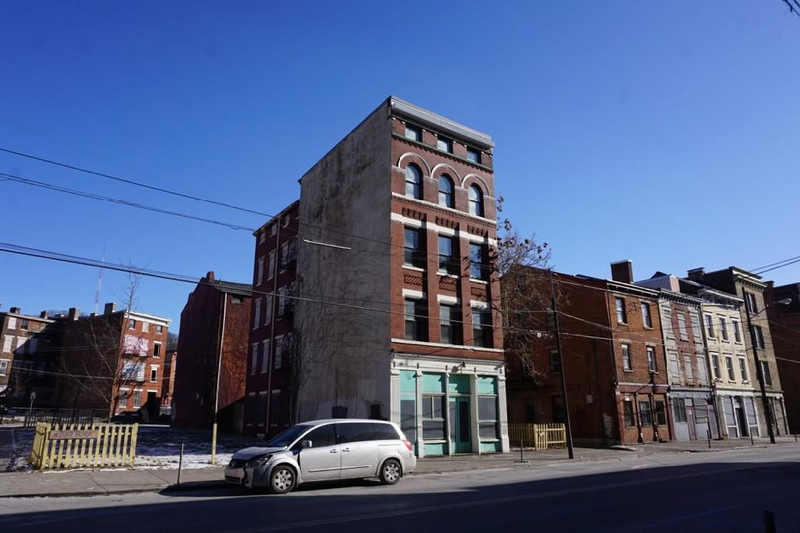 However, a new effort and design competition hosted by the Over-the-Rhine Foundation may prove to steer development of new construction projects. Currently, the development process is complicated, often times involving many meetings with community councils, city staff and approvals and recommendations from certain boards and City Council. That particular challenge has been felt most intensely in Over-the-Rhine, where developers, community leaders, and city officials are struggling to reach compromise over historic guidelines that have not been updated since 2003. 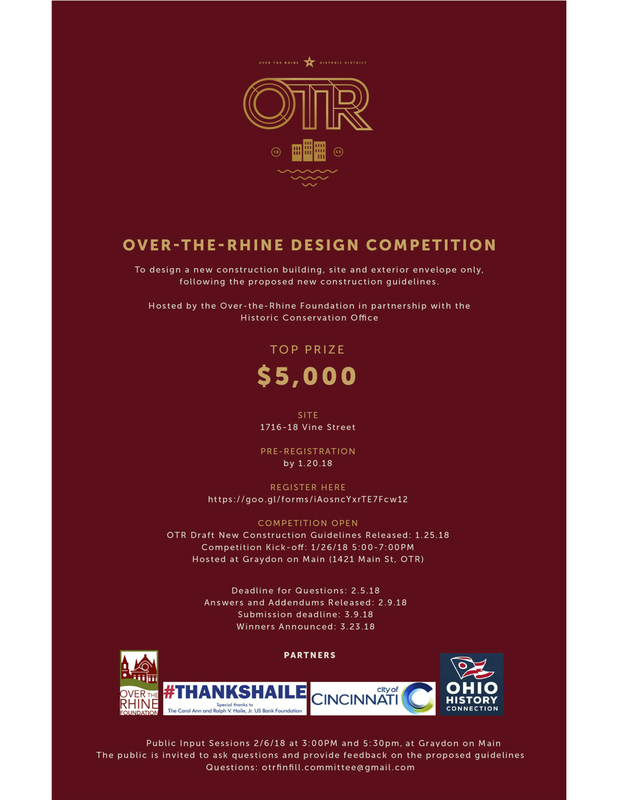 For the past few years the OTR Foundation’s Infill Committee, established in 2013, has been working to address the challenges of infill design in this historic neighborhood. They are working with the city’s Historic Conservation Office to modernize the 15-year-old historic district guidelines. The goal of the update is to provide clear and comprehensive guideline language paired with illustrative graphics to assist in designing new construction that will enhance the long-term coherence of Over-the-Rhine and its desirability to both residents and visitors. Part of that update is to test the new guidelines amongst the architectural and urban design community hosted by the Over-the-Rhine Foundation in conjunction with the proposed update to the New Construction Guidelines for the Over-the-Rhine Historic District. The competition is open to the public. Participants are tasked with designing a new construction project, site, and exterior envelope only, at 1716-18 Vine Street following the proposed new construction guidelines, see the brief here. Interested parties can pre-register by 1/20/18 at the following link. There is a registration fee of $15.00. First, second, and third place cash prizes will be awarded and announced on March 23, 2018. The first place prize is $5,000.00. The competition team will host a kick-off question and answer event on Friday, January 26 at Graydon on Main, 1421 Main Street in OTR, from 5:00 to 7:00 PM. Two public input sessions will be hosted to gather public input for the proposed guidelines by the Historic Conservation Office on Tuesday, February 6, 2018, at 3:00 PM and 5:00 PM. A location in OTR has yet to be determined. Editors Note: Mr. Yung is a member of the Over-the-Rhine Foundation Board of Trustees.